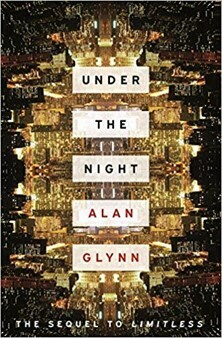 This thriller serves as a sequel (as well as a prequel) to Glynn’s well-received 2001 debut, The Dark Fields, which was the basis of the 2011 film Limitless, both which featured the use of pharmaceuticals to enhance human capabilities. Alan Glynn turns his attention back to the mind expanding smart drug MDT-48 and uses a dual timeline to adroitly straddle the period covered in The Dark Fields as well as cast an eye back in time. He uses a grandfather and grandson as central protagonists straddling the CIA’s MK-Ultra experiments with LSD in the 1950s and 60s. Ned Sweeney, the grandfather, emerges from an apartment in New York feeling slightly odd, not drunk, but something else. He’d been boozing with his boss, Matt Drake and a shadowy guy called Mike Sutton (who turns out to be a CIA operative). It appears that Sutton has slipped Sweeney a dose of MDT-48, whilst Drake has been given LSD. Within 24 hours, Drake is dead (having walked out into oncoming traffic) while Sweeney is seeing the world through a very different perspective. Ray Sweeney, the grandson, operates a political research firm and he had been led to believe that his grandfather committed suicide. He’s currently working for Congresswoman Stephanie Proctor. Her father is the almost legendary Clay Proctor, a former Secretary of Defence under Nixon. A not-so-by-chance meeting with Clay Proctor leads Sweeney Jnr to believe that his grandfather was murdered, and makes the decision to try uncover the truth. We then go back in time with Sweeney Snr, who has now secured a supply of MDT-48, as he meets with characters such as Marilyn Monroe, Marlon Brando and Lyndon Johnson. He gets so much attention in New York, that he moves to California and adopts a new persona. His story evolves into a series of vignettes with the aforementioned historical figures who credit Sweeney Snr for helping them in their careers. It’s a clever plot device, fictionalising real-life history to weave an interesting fictional thriller, not unlike Winston Groom did with his 1986 novel Forrest Gump (that was later filmed to great acclaim featuring Tom Hanks in the eponymous role). If you love a conspiracy theory, then this is for you, a distillation of CIA shenanigans, experimental drugs, suicide/murders, the immunity of ‘The One Percent’, big pharma, Mad Men and political expediency. It’s a heady mix that had me hooked (pun intended).